Yesterday I invited you to experience the “Open” stage of the award-winning GID unit developed by two librarians and a social studies/language arts teacher at Carver Middle School in Chester, VA. They based the unit my book, BROTHERHOOD, and posted all of their materials on this Blendspace page so that others can recreate the unit in their schools. Set in Virginia during Reconstruction, BROTHERHOOD is the story of a white boy who joins the Klan, meets a young black teacher, and comes to question the racial prejudices he’s been taught. The book raises all sorts of questions about identify, race, peer pressure, gangs, etc., and doesn’t provide easy answers. 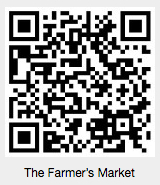 So it’s great for kicking off classroom conversations on a variety of topics. 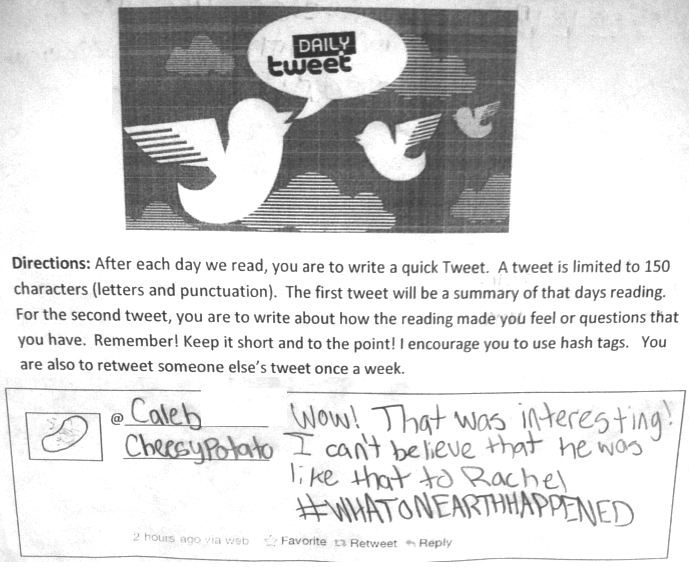 During the “Immerse” stage of the GID process, in order to connect to the content of daily readings, the students at Carver wrote a tweet a day. Historians from the Library of Virginia and the Virginia Historical Society visited the school, bringing samples of items mentioned in the book, such as swatches of cloth and a copy of a page from an 1867 newspaper. The time period was beginning to come alive for the students. I visited the classroom and talked about how I came to write BROTHERHOOD—a presentation that includes mention of the Noble Lost Cause ideology, Jim Crow era, and Civil Rights movement. On another day, the school’s safety officer came and presented information about gangs. The class explored reasons why a person might join the Klan or any gang—any group vying for power, control or influence. During the “Gather” stage, each student’s essential questions led him/her to choose a gang to research further. Students divided into small groups, and for the “Create” and “Share” stages, each group did a presentation about a gang and how they (or society) might stop the spread of that gang. In this way, they progressed through the 7th grade curriculum. For prohibition, for example, one group did a presentation about the Mafia running liquor. For World War II, another group showed how the Nazis gained support by blaming Germany’s ills on the Jews. By the time the curriculum brought them to the present day, they already knew from yet another student presentation that Al Qaida is motivated in part by a rejection of capitalism. I visited the school again, and was blown away by the high quality of the presentations, both from struggling learners and from gifted students. The GID approach excited them all. Along the way students participated in the GID stage, “Evaluate,” asking questions such as, what surprised me today? What was clear? What was confusing? I love the fact that when you do GID, you don’t leave evaluation to the very end. GID encourages self-reflection at every stage.